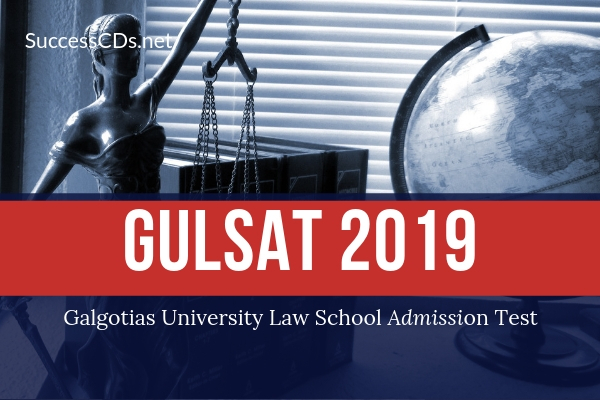 Galgotias University Law Admission 2019 - Galgotias University has announced the Galgotia University LSAT Entrance exam dates for the Galgotia University Law Admission to 5-year BA LLB and BBA LLB and 3-year LLB Courses. Galgotias University Law Entrance Exam 2019 is going to be conducted on 15th June 2019. The candidates who want to pursue 3-year LLB course need to have completed the 10+2+3 (Graduation) Level of education. Candidates are required to log on to www.galgotiasuniversity.edu.in and click on Galgotias Law Admission Test-2019. No other means/mode of application will be accepted.